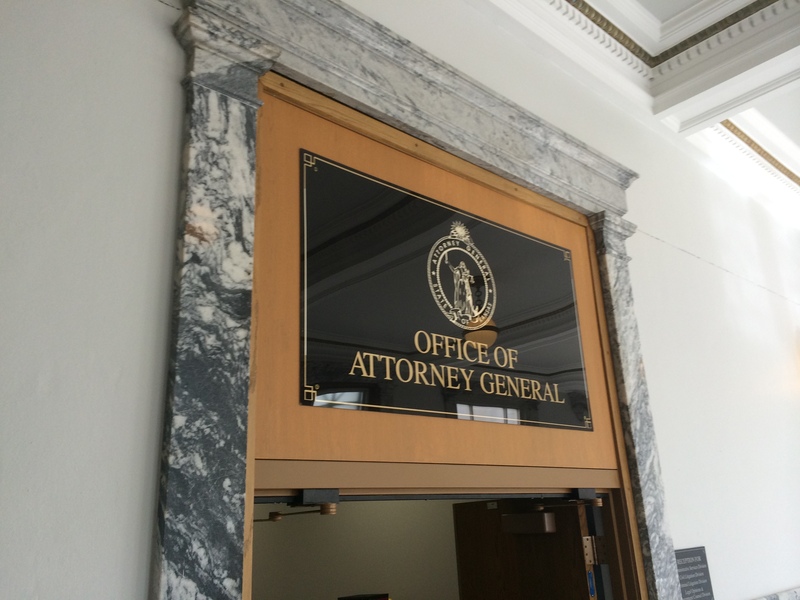 Attorney General’s Office “holds open” KOMA complaint; takes almost four years to respond | Kautsch Law, L.L.C. This spring, the Manhattan Free Press finally received a response from the Attorney General’s Office (AGO) to an open meetings complaint it filed in 2012 against county officials. Although the response finds the officials in violation of law, the AGO declined to penalize them. Moreover, the response implies that the complainant is somehow responsible for the delay and lack of enforcement. First, some background. On March 12, 2012, Riley County Commissioners and Geary County Commissioners conducted a joint meeting that the editor of the Free Press believed violated the Kansas Open Meetings Act (KOMA) for numerous reasons. The Free Press filed a complaint with the Geary County Attorney, Steve Opat, on April 30, 2012, as the applicable statute allows for open government complaints to be filed with county or district attorneys. The complaint included an article published in the paper reporting on the alleged violations. However, rather than investigate the complaint, the Geary County Attorney forwarded the complaint to the AGO. Mr. Opat provided several documents in support of his contention that the commission had not violated KOMA, including an email from the Riley County counselor, Clancy Holeman. Once the AGO received the complaint and documents from Mr. Opat in defense of the agencies, it wrote letters to Mr. Opat and Mr. Holeman, asking for an additional response. Mr. Opat and Mr. Holeman then wrote back and submitted “[o]ver 60 exhibits.” Mr. Opat and Mr. Holeman also delivered a letter to the AGO on August 14, 2015. In contrast, the Free Press submitted only one email and one article to the county attorney on April 30, 2012, did not have direct contact with the AGO until March 2, 2016, and heard nothing from anyone about the complaint until then. In deciding not to penalize the county officials, the AGO presumably applied K.S.A. 75-4320, which provides that civil penalties are mandatory only for “knowing” or “intentional” violations of the law. However, the AGO’s letter never cites any statute to justify its decision. More importantly, the AGO’s letter to the Free Press fails to explain why simply closing the complaint as soon as possible would not ensure compliance with the law, and cites no authority in support of the position that the “holding open” open of government complaints actually ensures compliance. Rather, by statute, the AGO has authority to dispose of each KOMA complaint as it arises. If holding a complaint “open” simply means that the AGO does not disclose for years that officials violated KOMA, they do not have the benefit of receiving timely notice that they fell short and need to do a better job of complying with the law. Meanwhile, the complainant remains in the dark, wondering whether the AGO takes its KOMA enforcement responsibilities seriously. Moreover, the letter the Free Press received seems to suggest that the county officials were not ordered to complete KOMA training at least in part because the AGO had not received any other complaints or “additional reported concerns from you.” The implication is that because the complainant did not follow up with the AGO, despite never being notified that the AGO was reviewing the case, the complainant is somehow responsible for the AGO’s determination that it need not order KOMA training in this instance. Not only is that an unreasonable expectation to place on a complainant that appears nowhere in any law or regulation, the AGO had continued contact with the counsel for the violating agencies, while failing to advise the complainant, who was without counsel, of the opportunity to communicate any additional concerns. As a result, the AGO risks being perceived as biased toward the agencies and against the complainant. Ultimately, the Free Press had to wait four years for a finding of violation that in fact did not even require the violating agencies to attend training, ostensibly because the complainant failed to follow up on a complaint filed in 2012. If this is indicative of how the AGO handles KOMA complaints, that office needs reform or a new system of open government enforcement is needed.